Jay Chandrasekhar (right) and Erik Stolhanske get a shot at redemption in Super Troopers 2. Seventeen years after the original comedy Super Troopers comes its sequel with director and actorJay Chandrasekhar (Beer Fest, Club Dread) once again at its helm. After being fired for their previous shenanigans, former Vermont Highway Patrol officers Thorny, Farva, Rabbit, Foster and Mac get a shot at redemption from Captain O'Hagan and Governor Jessan. The wacky quintet must provide law enforcement for a French Canadian town that is transitioning to US sovereignty. Their unconventional methods soon get put to the test when they encounter a smarmy mayor, mischievous Mounties, a smuggling ring and a huge bear. 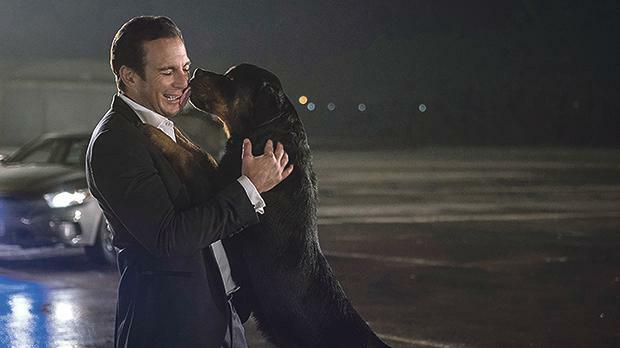 Will Arnett and Ludacris (who lends his voice to the dog) work paw in hand in Show Dogs. The comedy follows police dog Max (voiced by rapper Ludacris) reluctantly teaming up with an FBI agent named Frank (Will Arnett) in a bid to recover a stolen baby panda. A hot tip leads Max and Frank to Las Vegas for the world's most exclusive dog show. To find the panda, Max goes undercover as a contestant to get the lowdown from his fellow canines. Show Dogs was panned by critics, who criticised the lazy writing and uninspired performances, among others. Olly Richards of Empire wrote that “you’d get more entertainment from an hour of dog videos on YouTube”. Released in the US on May 18, the film grossed $22 million so far.